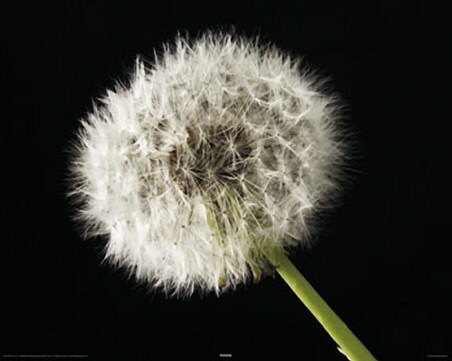 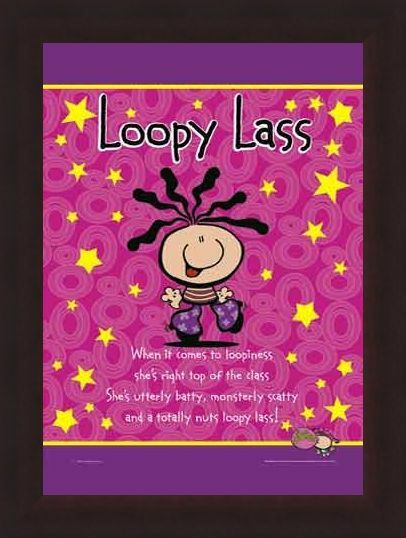 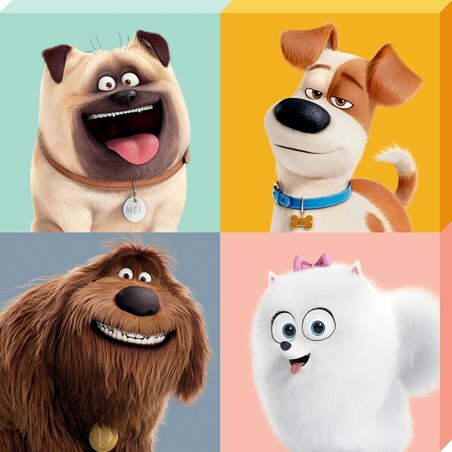 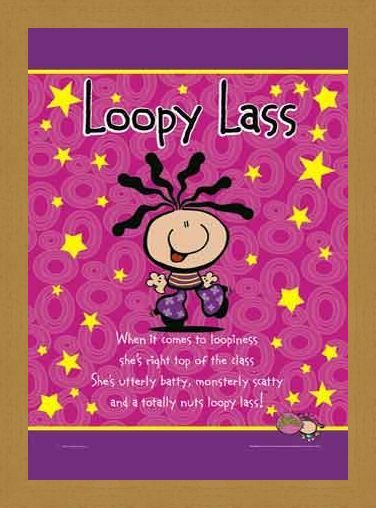 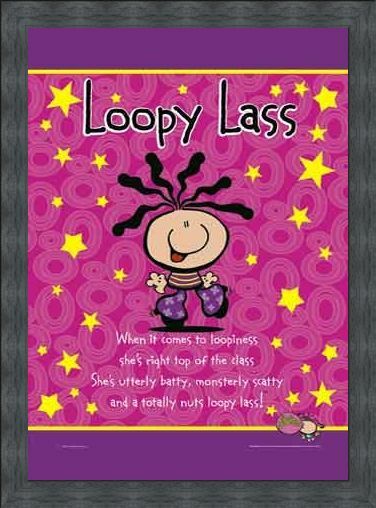 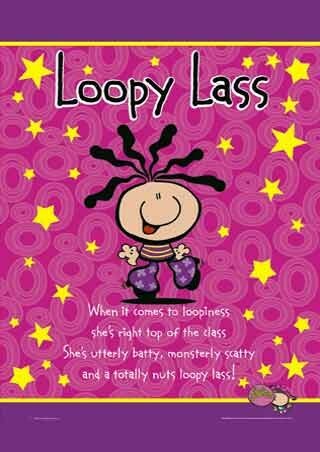 Mini Humour Poster: From the popular Bubblegum range, this fun packed poster is aimed at Loopy Lasses worldwide. 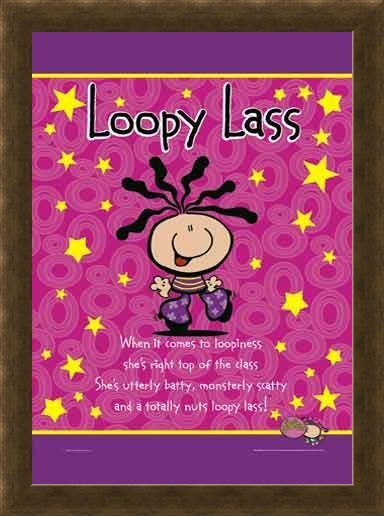 With wild hair and an insane grin on her face, Loopy Lass dances the night away on a backdrop of crazy pink swirls and stars accompanied by vibrant purple borders. 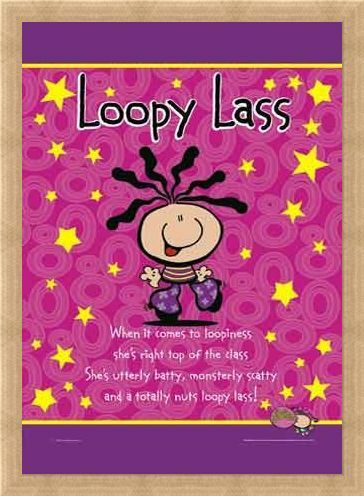 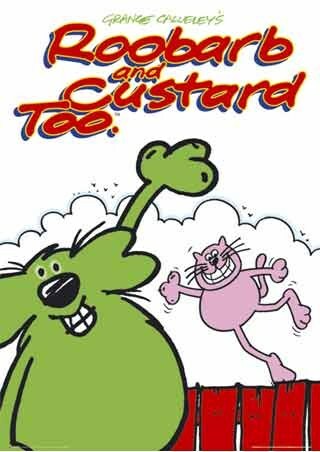 This brilliant Bubblegum mini poster is ideal either for yourself or as a great gift, featuring the verse, "When it comes to loopiness she's right top of the class; She's utterly batty, monsterly scatty and a totally nuts loopy lass'! 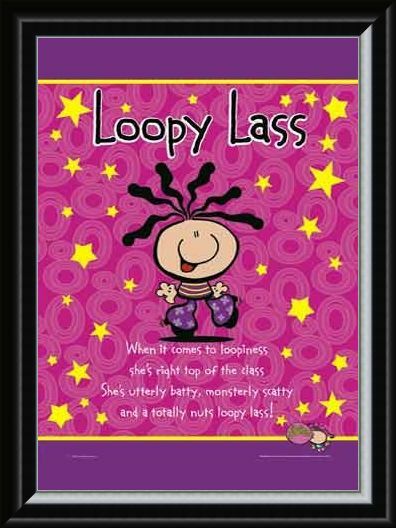 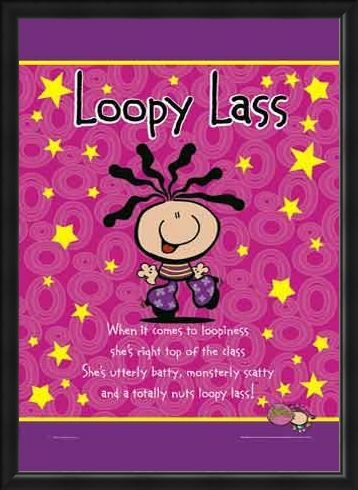 High quality, framed Loopy Lass, Bubblegum Character mini poster with a bespoke frame by our custom framing service.